Get your imagination humming with these new craft project ideas! Find daily craft inspiration from the Plaid Palette! An introduction to the Lemons painting being taught by Andy Jones, Content Editor of our online educational program, Let's Paint. An introduction to the Bird's Nest painting being taught by Andy Jones, Content Editor of our online educational program, Let's Paint. An introduction to the Spring Meadow painting being taught by Andy Jones, Content Editor of our online educational program, Let's Paint. Explore some of Plaid's most popular products and find inspiration! By skimming through the products that are all the rage with other DIYers, you might find your next favorite craft memento. View the promotions we're currently offering and shop from the comfort of home for all of your favorite Plaid brands: Apple Barrel, Bucilla, Delta, Mod Podge, FolkArt, and more! 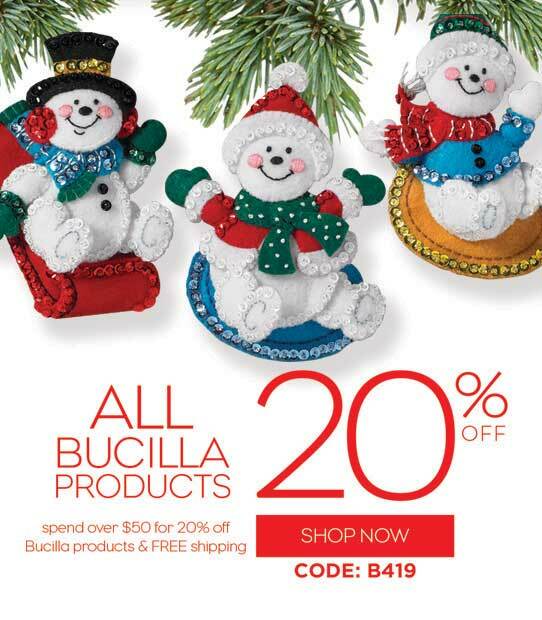 Spend $50 to save 20% on all Bucilla stitchery and needlecrafting products PLUS receive FREE SHIPPING on your order! Offer valid through April 30, 2019. Post a pic of your DIY craft project featuring Plaid products on Instagram using the hashtag #plaidcrafts and you could end up being featured here! 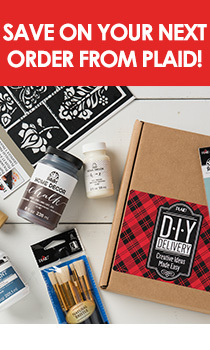 Subscribe to the PLAID Crafts Newsletter, and we’ll throw in $10 towards your next purchase.